Abe's Cool Cabin - Free 2 hour Bike/Kayak Rental! Lovely two story home centrally located in the Fox Farm area with private hot tub. 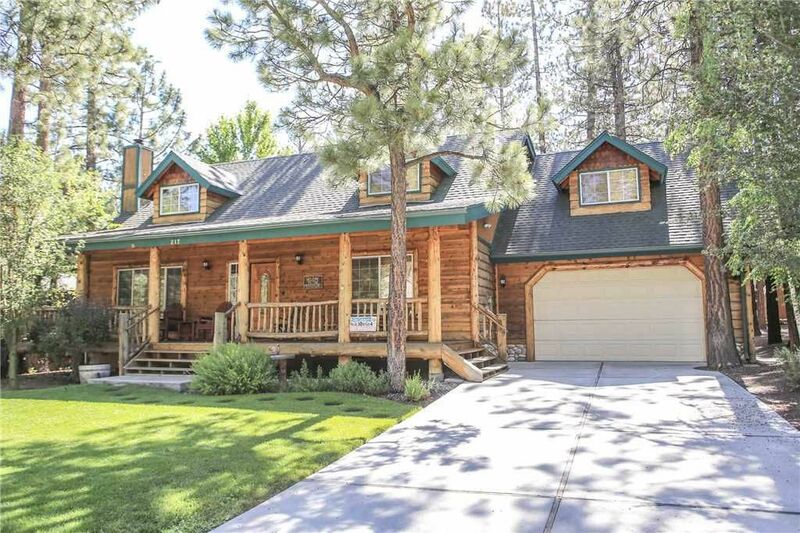 This property has four bedrooms, three bathrooms, and a two-car garage. Enjoy a game of pool in the private game room! Additional amenities include a foosball table, cable TV, DVD players, FREE WiFi, gas fireplace, and washer/dryer. Fitted with all the conveniences of home, Abe's Cool Cabins has a full kitchen with stove/oven, refrigerator, dishwasher, microwave, blender, toaster, coffee maker, dishes, pots/pans, and more. There is a large porch and rear deck with a gas barbecue. Abe's has beautiful forest views and is just a short drive to the slopes, lake, golf, zoo, restaurants, shops, and more. Master Bedroom - king bed, TV, DVD player, private bath, upstairs. Bedroom Two - queen bed, TV, DVD player, downstairs. Bedroom Three - queen bed, TV, DVD player, downstairs. Bedroom Four - six twin beds, TV, DVD player, private bath, upstairs. Abe's Cool Cabin comes with fresh towels, and beds are made up with fresh linens and plenty of cozy blankets. Our dedicated cleaning crew has the cabin clean and ready before your visit and does the cleaning after your stay. Abe's is located in a quiet family neighborhood. City Code strictly enforces noise restrictions between the hours of 9 p.m. to 9 a.m. Please close back door of garage after 9 pm when using pool table as noise does travel easily in the mountains. Hot tub cannot be used between the hours of 9 p.m. and 9 a.m. Thank you, Monica, for choosing Cool Cabins and we are so glad that this cabin was such a good fit for your Big Bear vacation. We hope you can take a longer trip next time and we can't wait to have you back! Great house with all the trimmings! Took our daughter and 8 friends for her 18th birthday as well as my husband and I. We all had comfortable accommodations, BBQ'd, and had movie night.